Love Rock kicked off my little group of baked blushes. I came upon Petticoat Mineralize Skinfinish at a local Cosmetics Company store and, like Love Rock, couldn't stop staring at the pretty marbling of colors and the unique sheen that it produced. It was like looking at a sparkly jewel. I just couldn't put it down when I got home, thrusting it in the hubs' face and saying, "LOOK HOW COOL IT IS!" He was obviously not quite as enamored as I was, but agreed it was neat. The third one was a spontaneous purchase from Marshall's because it was less than $5. 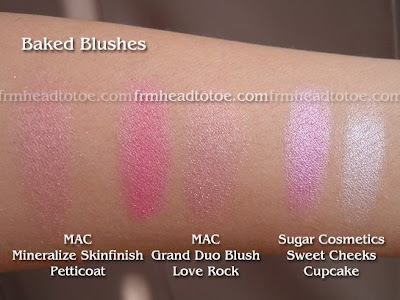 Sugar's Sweet Cheeks baked blush in Cupcake. I thought the purple color was interesting and hey, it's only $5. 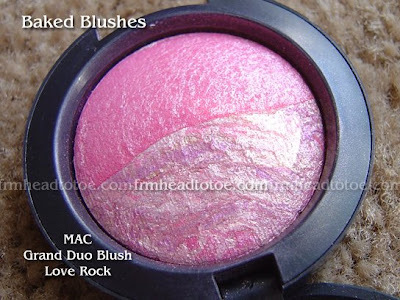 Love Rock is one of my favorite blushes. When I'm in a hurry I just swirl it all together and apply to the apples of my cheeks. When there is a little more time, I can start with the solid pink and highlight the tops of my cheeks with the marbled side, which gives a nice peachy glow. The result is like you just came in from the snow: pretty, flushed-pink cheeks. I just wish it were bigger. Petticoat is huge compared to this tiny Grand Duo blush! Cupcake is honestly one I haven't used much just because it's so frosty. The lavendar color is interesting but the pink side actually has a silver shine to it that just doesn't match my warm complexion very well. It works as a nice eyeshadow though, and it's pretty huge when you think of it that way. The packaging is not so great, as the baked part is just sliding around on top of the plastic container. Very messy! Oh well, it didn't exactly break the bank. All in all, I'd say Love Rock I can't live without, Petticoat is one of those special purchases that I'm still giddy about (it's very limited edition and hard to find!) and Cupcake... Well, maybe I can use it for a special all-over purple look someday. I'd love to grow my collection of mineralized products, so let me know in the comments if you have any recommendations. 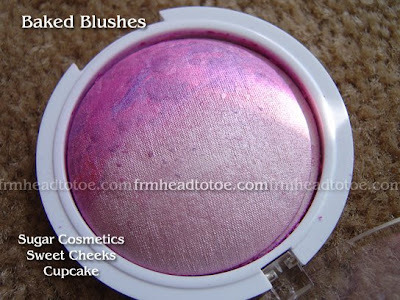 I've got my eye on a couple of the regular mineralized blushes. Those swirls just make me go crazy! Wow, those are really pretty! 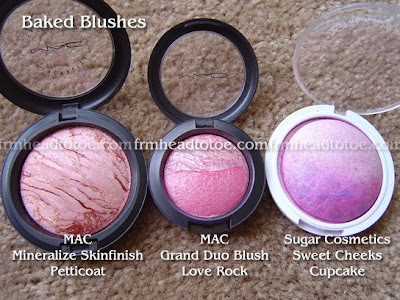 I never usually wear blushes, but I'm going to try them out soon;; the colors are really pretty too. gorgeousssss.. i love petticoat :D i think i MUST add it to my wishlist, hahaha! you make me want to ditch class and drive an hour away to go to a CCO! boo you! Oh, you must get Dainty! It is absolutely fabulous! This post certainly caught my eye! 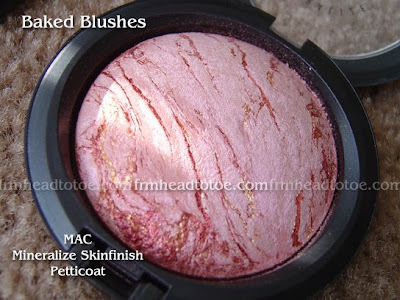 I love MAC MSFs and mineralized blushes too. 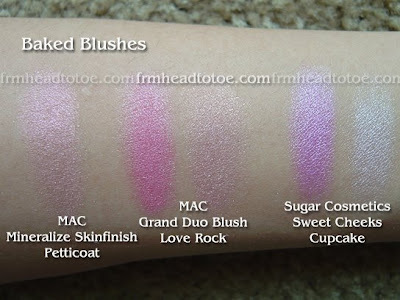 I've never known how to actually use the mineralized blush duos; I just whirl them around and put them on. Never tried each color separately, though now I think I'll just go home and do that. I ADORE Love Rock too, though I've been neglecting it lately for NARS blushes (once you start with those, you just can't go back). I would recommend you try NARS - a heck of a lot more pigmented than MAC can ever be. One swipe of my brush for each cheek, and I'm set. Petticoat's one of my fave MSFs to just look at. I'm afraid that it might be too sparkly to use as a blush lol, but I would recommend using Light Flush or Soft and Gentle as a highlighter. They may be hard to find now, but they're gorgeous and worth it!